1911 Class is again on Saturday. And during the week I worked on my J -Frame sights. Got that installed. My punches are too big and the drill bits are the wrong size. 1/16th punches are different sizes. I would/should fit the next sight better if I had to do this again. More filing and fitting, filing and fitting, til I got a decent fit all around. I'd mung up the new sight a lot less that way. The outside parts of it should be pristine after installation. I like roll pins and roll pin punches. Much better that solid pins. I had a roll pin. Just the one. Until I was done and remembered I had a bunch more in a set downstairs. Annnnnd, I just found those. I was gonna use the original solid pin, but... oops can't use a bent and broken one. The only roll pin I thought I had was a bit short, but, like I said, I thought it was all I had. Not ideal, but it does fit the front sight on tightly. Loctite Blue in gel form is prolly the best glue goop for this application. Red if you are more sure of yourself, but do Blue, n00b. Except Red implies removal with heat later. And if you are installing a tritium sight, you might not want to put flame to that, have it burst, then turn your house into a mini Chernobyl. But, now I have two S&W 640 J Frame pistols. They are the same with sights now, too. And they glow. One has VZ grips, and one has Crimson Trace grips. One is a primary, one is a spare. One also has that extra capacity for training and sighting that I am still not entirely sold on. Still need to get another battey for that lazer. I guess Baltimore isn't Missouri, or something. Saw Lake Placid the other weekend. No, it's not the one about the 1980 winter Olympics. It's the one about the 30 foot crocodile in Maine that Betty White feeds. It's Jaws, on a Lake, with two Brody characters and two Hooper characters and no Quint. Also... a lot fewer people died than I recalled in this 16 year old flick. Two humans on camera, one in the back story for the movie, a bear, a moose, a cow... that's pretty much it. I am recounting this movie because there is a BFG in it carried the Sheriff, played by Brendan Gleeson. And I had no idea what it was. It acted like a grenade launcher of some sort. My guess is it's fake. Let me look it up in the firearm database. Nope, it's legit. A Cobray 37mm grenade launcher is used to blow the head off of one of the crocs. It's got a bit of an extend-o-barrel that still feels dubious, but... I'm not really up on my bomb throwers. No known non-police-duty type person has needed to defend themselves in the Baltimore riots. At least none reported. The conflict has been between the rioters and police and rioters and press folks. At least no mano on mano conflict has been reported. I take that back, some people in wheel chairs were put in jeopardy. But the worst injuries were to police officers that didn't feel the need to shoot back with firearms. If they were restraining themselves to only throwing rocks. (real classy move, buddy... I bet your sergeant has a talk with you at some point) It could have been .40S&W or 5.56mm sent back, but it wasn't. Much restraint, no known new fatalities this week. Hope it stays that way. So, presumably, if some schmoe like me was nearby I'd have not been presented with Code Orange crossing into Red and had a call to need to defend myself. With a firearm if I had one. Which is a relief. This is good, for what it is. Of course it wouldn't be actual me because I have no pressing bidness and no MD CCW. Just Sumdood like me. But that doesn't mean it couldn't happen. To someone. Some random innocent could have a group of pitchforks and torches wielding bad guy villagers outside their house in an hour, and have to decide to shoot back or get kilt. But like several people have reminded me, Martin O'Malley fixed it so Mr. or Mrs. Random has to pray there is only a few of them farm implement wielding villagers outside. They can only have 10 rounder magazines. Well, they can HAVE more than that, but Marty made it inconvenient to arrange for folks. Hope you practiced fast accurate shooting, Random, if you need it. Also, I recommend buying lots of extra duplicate guns, Random family, and keep them to hand loaded. Solve that deadly O'Malley limitation that way. When he is president in 2017 it's gonna be a rough 8 years for all of us. So, I am writing this last night, listening to fooferol on the Philco ahappening in Baltimore and I am prepared to answer your questions. But Saysuncle told you to top off your magazines. Naw, that revolver is fine. You really aren't concerned. Is that a boilermaker you are drinking? Why yes, it is. It's delicious. Look, this is way up in Baltimore. I am closer to DC and still 6 miles from that line. My work is toward Baltimore. Still much farther from the city line. No conceivable need or requirement for me to go any near to riot zones or potential riot zones by closer than 10 miles. If the riots were the Hiroshima bomb I wouldn't even be inconvenienced. I don't shop at malls, generally, but even if I did, except for one, there is no trouble. Rarely I'll hit something touristy. Inner Harbor touristy. On the edge of the unpleasantness. But not this week. Plus it's just one boilermaker. Green Flash Black Ale goes well with bourbon. But this could SPREAD to DC! Yeah, and it might. Then it would have to get worse than 1968. 1968 riots didn't come out to this inner suburb when my parents lived in a house a quarter mile from here. Remember what 68 was like down here? Columns of smoke coming up from the city. Well, more columns. Many more. Could it get that bad? Maybe. We'll see. I kinda doubt it will. But it's not the same neighbor now to what was there 45 years ago. Correct! It was sort of a Jewish neighborhood in the 1950s, then my neighborhood was built and WWII veterans moved in. Standard white people Leave it to Beaver suburbia. That generation moved to retirement homes in Florida or bigger houses in the outer burbs. It was briefly a Koren immigrant area, and Goth youths. Now it's Central American immigrant families. Plus me. If anything, this is the quietest and calmest the neighborhood has ever been. Or the same. Just regular families that raise their kids well. Few malcontent teenagers around. Now, the important question... Are you going to maybe happen to have a firearm near to hand when away from home? Ahhhh, the important question. I see. Maybe have a range trip, huh? Or a few range trips? So my car will have a range bag in it, maybe? Naw. That's a big legal risk, considering. Now maybe if the violence got more widespread and much much worse? Heck, some sort of hazardous condition can exist where I open carry a rifle in and out of office building where firearms are not allowed. Zombie apocalypse, that sort of thing. Annnnnnd they are closing Bawlmer schools today, now. Governor declared a state of emergency 30 seconds after the Mayor asked him to. Talk to you later folks. Tam just flew back from New Hamster (and boy are her arms tired). Why? Because a Pelican case fulla guns ain't exactly light weight. You gotta flap extra hard with that heavy load. I like Pelican cases. Duh, they are really good and sturdy cases. Most I've seen have two locking points to keep the baggage handlers honest when you check your bags because: GUNS. Question for Tam. What kind of locks did you use on your luggage? Lately I've been enamored with this lock because of this article's comments. But 2 and a half pounds for a lock? Nice. And not cheap. And I'd want 2 locks keyed alike. Dunno how to arrange that. Juan Williams comments on guns. Is the NRA entreating 'white America' to get guns for self defense? It always seemed to me to be entreating ALL America to be able to exercise their rights. Is the NRA working folks into a frenzy by stressing crime worries? That's not the vibe I pick up. Oh sure, there is part of that in the people's desire to get a first gun. But I think of "better get one in case I ever need one and before they get restricted by an overreaching government" is a bigger motivator. I think someone needs to take Juan Williams to the range. I bet he'd have a fun time shooting holes in some Shoot N See targets. Might make him a little less sour, too. To do this front sight on this J Frame I need a 3/64" bit. I know i have one of those, somewhere. But that is of little help when you can't find that somewhere. The hobby shop is out of 3/64ths inch bits, too. Ah well. The internet provides. 100 years ago today, the Battle of Gallipoli started. A sound strategic idea, well conceived, poorly executed by the allied leadership, and bravely fought by ANZAC and Turk soldiers. For some reason I associate this battle with the Boer War. Mainly because the movie Gallipoli came out at about the same time as Breaker Morant and they both involved Australians. The footage from the volcano south of the equator is amazing. Fridays are turning into my writer's block day. Goal for the weekend... Work up the confidence to replace a front sight on a J-Frame. I want the glowy kind. But I have trepidations. Simple enough, tho. And I have the tools. Very little about it on youtube that I've found, oddly. Perhaps that is for the best. Youtube can be boon or bane for smithing. In the meantime. Here is random flight footage from some random plane. I don't even know what kind. Something from Dub Dub Two. Anyway ONE of this things is, there has to be a fired case with the gun from the manufacturer that then gets sent on to the State Police to be retained for 'ballistic fingerprinting'. Then they can match cartridge cases with murder cases! Solve crime! Thing is these cases have never been used for such except for a coupla times when the crime was solved and they wanted proof of concept so they dug up the brass they knew they'd find. All this takes up stape in beyootiful downtown Jessup and the cost to the gun buy goes up $15 to $20 extra. This legislative session that nonsense has been repealed. (SB736) Our governor will probably sign this bill. And the State Po-po can recycle all that brass. Not a HUGE pro-gun legislative win, but better than going the other way. Go freeze to death in the dark. And how I have evolved. Aerosol spray of some combo solvent. Scrub with paper towel and toothbrushes and a brass brush. Swabbed the barrel with the wrong size patch. But I always sprayed too much. Or the can stopped working even when there was a quarter left. Or the skinny red straw went AWOL. But mostly, I spayed too much. Lube? Well the can of solvent is also oil, right? And there was enough left over even after a wipe down. Maybe a tough of gun grease on the rails. About the best thing I did was a bunch of passes with a bore snake. I cut up old t-shirts for rags and patches. I soak a patch with fresh Hoppes (bottle, not can) and use it to wipe everything down and get a thin coat of solvent. Then I leave it for a while. Get some lunch, watch some TV. Then I come back an hour later and repeat the process. Thin coat of solvent on everything. Then the brushes and the scrubbing and the q-tips. The let it sit and soak method seems to help. If you can do it while the gun is still warm at the range, that might be better, but that opportunity is rarer for me. If I use grease it's high moly content (and stains EVERYTHING it touches...) Neco Moly on internal parts like sear and disconnector and hammer hooks and trigger bow track. But that's only for a detail strip. To lube the rails, I like FP10 because that's what the Army Marksmanship Unit uses. Lock the slide back. Use a needle oiler to get a drop on both back rails. Two drops on the barrel where it lies inside the bushing in battery. Wipe it around with a finger. Gently* release the slide and with that we finger wipe it on the barrel hood. Done lubing. Heck I've heard this technique for lubrication from multiple separate sources. I figure it's established Best Practices, now. *Remember, don't let the slide close on an empty chamber if you can help it. It bangs up the internals. Never dry fire with the slide off, either. The hammer can peen up the frame. You did that? You are probably fine. Check it next time. Just try to avoid it in the future. I hate Socialism. With a white hot fury. All flavors of it. Murderous tyrants, all. I joined the Navy with the goal in mind of leading 12 men on missions over the North Atlantic for the purpose of killing 300 Russian Socialists underwater to keep them from killing 30,000,000 Americans. The Cold War ended and I didn't have to do that. I like reading Eric Flint. I'd read and re-read his stuff all day long, but I'd never vote for him to be in charge. The Socialism he cottons to doesn't impact my enjoyment of his work one whit. Well maybe a quarter of a whit. So instead of enjoying his stuff 100%, I enjoy it 99.75%. Well within the margin of error. Sure, he is sympathetic to Socialistic ideals in his work, but it's not all pervasive and it's not trying to convert me in whatever way. The bad guys in his works also have a hint of tyranny and socialism. And that makes them bad guys. Well, the tyranny part, certainly. I don't 'get' the whole "eschew the artist because of his views" thing. Like Wagner being tainted because Hitler liked him and he held typical 19th German Gentile anti-semitism. Or H Rider Haggard seeming too white, too Imperialist, too South African to be enjoyable. Or refusing to listen to Maya Angelou poetry because she was an 'angry black woman.' Reject their work because you don't like the Sturm and Drang, the stilted language, the hackneyed simplistic imagery. Or enjoy them because you find it rousing, is able to transport you to another time and place, or lilts along in a manner pleasing to your senses. Same with Atheism vs The Devout. I don't care either way unless you are annoying to me about it. No one likes rabid fervent proselytizers. Among believers too. We considered calling ourselves Marylandians. Meh. Also Marylhaggards, Marysiedotes, and Marshmelons. Didn't stick either. We will be O'Marylanders when O'Malley is elected to be the next president of the United States of America in 2016! 'Hooray,' I can hear you shouting. Haven't had a politician in a prominent position since Spiro Agnew. I'm sure O'Malley will comport himself in high office as well. You know that really good thing that happened to you recently? O'Malley says, "you're welcome!" 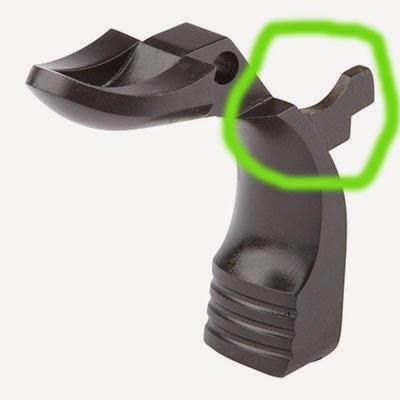 An interesting solution to the problem of "put the finger away from the trigger" which most of us already do, "AND put the finger in a place that finds a spot that is ALWAYS in the same place in relationship to the trigger so it is muscle memory to find it when needed." And you know what? The firing port on most semi's is in the same place from model to model. For the most part. There are exceptions, of course. And the port is in the same relationship to the trigger from model to model. 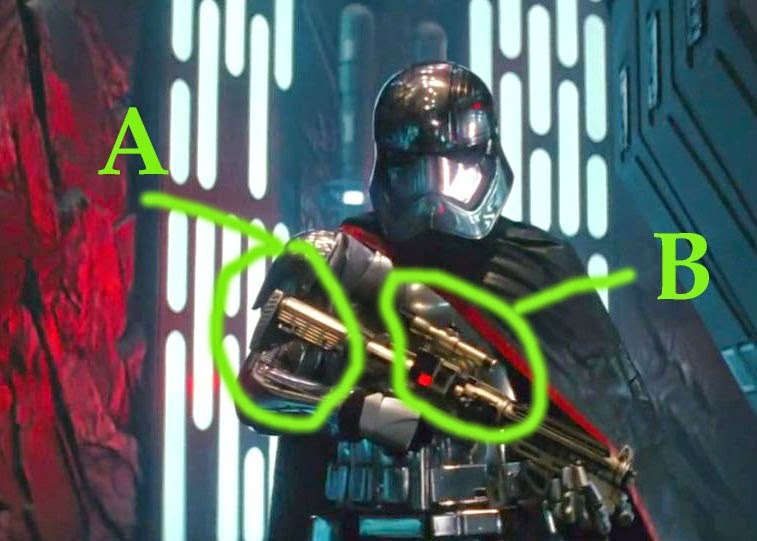 There is a little more variance on the port side of the gun for us Southpaws. But not enough to get yer knickers in a twist. But no matter what YOUR gun is the same day after day. Getting that extendo finger in a non trigger 'spot' for registration does sound like a good idea. At the gun range. Something bad always happens. Ever have a beer that tastes of old sweatsocks? Beef broth? A beer you have had before and was great then? If you can, try to determine when the beer was bottled. It might be on the bottle, six pack, or case. A 'best before' date means it was bottled about 3 months before that date. Or was the beer left under the lights at the store outside of the opaque corrugated cardboard case? Old stale light struck beer. Avoid it. For maximum enjoyment. Leftists always like to bring up Ike's speech. Especially Academics. "See, even a Republican war hero argues against military spending!" They say. They always forget this part. You eggheads are just as bad as the arms merchants in cahoots with the generals. Look at all yer socialism and falsified CAGW information. Stop trying to convince me that I want to freeze to death in the dark, soap-dodgers and billionaires. You keep hitting the slide release, letting it slam, into battery, with no magazine or ammo to slow down the slide. Over and over. Just messing with your empty gun, or once or twice a range trip over many range trips. Well the hammer and sear bounce against each other when you do. Preening and knocking chunks off the sear face or hammer hooks. NOW your 1911 may go full auto. Bad bad . A) Nice AR stock! Anyone know who makes that kind? B) Does this mean Stormtroopers can hit stuff now? "T-Bolt, why do you do your gunsmithing sitting at the kitchen table? You are just perpetuating a hateful stereotype among us amateur gun breakers. I mean gun SMITHS." Well, I'll tell you, loyal reader. Most of the stuff I do at home doesn't require a vise. If it did... well... I'd have to do that in the shop. A big plus the kitchen holds for me is the ugly yellow linoleum floor. If I drop a part in the dark basement among the detritus and wood shaving there... It's gone. I can SEE that little pin from the plunger tube on the kitchen floor, easy. If I have to do dremel work, I do that on the porch if I can. Natural light, and less dust inside the kitchen. For instance you can sand a radius with the larger dremel sanding wheel into the top of the grip safety. With this clearance you can take off the beavertail grip safety without removing the mainspring housing. A big plus at times. You can get grip safeties already modified, but doing it yourself isn't too hard. I fixed it. The original grip safety had more meat on the little tab and works safely. The barrel is no good. And the slide is munged up by the barrel hood. And the sear no longer meets my standards. It's fine. Shoots ok. It's not unsafe. But longterm I expect I might swap out the barrel and slide when I learn how. I am trying to convince the boss to have a sear-hammer class. JUST sear and hammer. "Why did you dump the original grip safety in the first place, T-Bolt." I've explained before, I think. I like the smooth grip safeties. Not ones with a bump back there. I never have an issue with my grip not depressing the grip; the extra bump is just uncomfortable for me. Ooo, another word on grip safeties. Springfield uses a different radius than other gun makers. A .220 radius rather than the .250 radius. Pain. See, here. My favored style is on the left. Hey, it's Buy a Gun Day tomorrow! And I might just do so. Or at least explore the idea after work. You see, I need a Caspian frame for a 1911. "But T-Bolt, I thought you weren't gonna play Maryland's reindeer games?" True, but it turns out I don't need to take the state Handgun Handling Qualification and Safety Class mandated by Martin O'Malley. Or it seems I may not have to. I already have handguns known to the State of Maryland. So I am grandfathered in. I have to confirm, of course. It may just be a matter of proffering up a serial number they already know about. Plus a stripped frame is kinda confusing. You can spin one of those around in public here and people don't think you have a gun. Unless they are gunnies themselves and know it's no big deal. An inert piece of metal. Even an ATF dude might probably go 'meh' if he saw that. But Maryland Democrats are kinda clueless. What I am saying is that the folks that would get upset if they knew won't know a thing. So, I play their games and play one back. Anyway... What should my serial number be? T-BOLT-001? I don't think I will be making more than 999 pistols, so, 001 should be ok.
Have you read MBtGE's book Still Falling? It's good! And a decent bargain on Kindle if you are short the dough. The trick is to get bigger fish than me to plug it. But once word gets out I bet it zooms. Best part, the second book is near done, and the 3rd ain't that far away either. If you DO like it, the next book will be out presently. Yes. I did. I learned my gun is now unsafe. I done broked it. I took the first 1911 I ever bought. Springfield Loaded from 2007. Upon disassembly I noticed the trigger bow was loose and wobbly. No good. So, because I had done this class before, I was able to fit a new one on the in-between portions of the class. Other replacement parts were tried and discarded as I went along. A new slide stop? Naw, it's not fitting so well. New leaf spring? Naw it's not releasing the grip safety. In the end, the only new bit is the had-to-be replaced trigger and trigger bow. 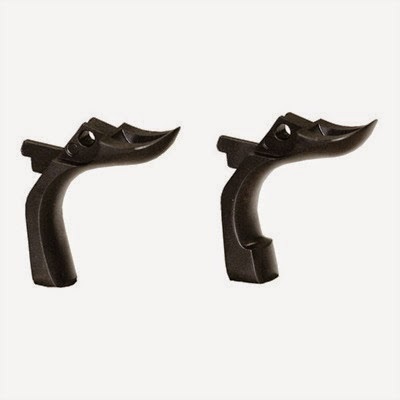 But when re-assembled, the trigger releases the hammer even if the grip safety is not squeezed. Not so good a thing. And that was found at the end of class. No time to swap parts around and mess with it. I gotta do that now in my home shop. So... Put old, original, grip safety back in that I had another gunsmith swap out years ago. See if it fails the same. Put faulty original trigger back, see if it fails the same. 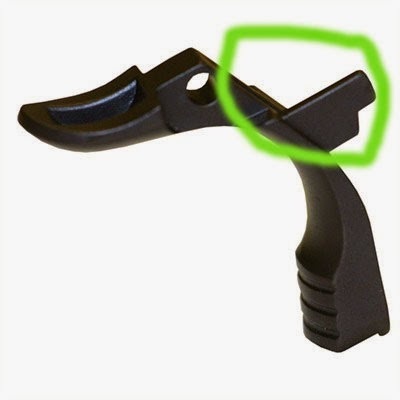 The little tab on the grip safety must not be contacting the back of the new trigger bow. That's the fault. Has to be. I may need to lengthen the tab somehow. There are ways to do that. A popular way is a WHOLE NEW PART. Holy... I just realized. I have no 1911 I am comfortable carrying right now. Not good. Why are you spending money to take ANOTHER 1911 basic armorer course today. Well, you see, Ima a slow-head. I want to pick up some details that sailed right by me the first time. Plus, it's a different gun. A whole new set of problems. Plus Sam let me take the beginner course for free. Uhhhh, might get some gun skool review tomorrow. Just he beginner class. Be sure the knowledge sticks. Hard to believe that last month was a record gun buying month. For no reason. No panic buying because of new gun control schemes. Dangit I can't find the link... I think it was in the Washington Examiner. Wait! It was the Times. Anyway, California has 199,000 some background checks last month, it said. Their best month before that only saw 160,000. I have no idea what is up with that. But I do find it interesting. Like we are winning or something. Run for your lives! Don't share a handkerchief or ice cream cone. So I'm reading L. Neil Smith again. He's the guy that wrote up that alternative Libertarian universe. The American Zone. Not as strong as the Probability Broach... I'm still having trouble picturing the America that happens when Gallatin stops Washingtonian overreach. We were still a nation of tricksters, con artists, thieves, with no shortage of troublemakers that would be hard to dissuade, even at the risk of getting aired out. In it, you can buy ammo at a vending machine. For just pennies a box. Mentioning that with government out of the way things are higher quality and cheaper because the free market isn't constrained. Make it better AND cheaper or you go out of business. Also, the guns he describes are cool. And it's an alternate universe so the names are different. It's a gunnie's fantasy, to be able to hit the range for an afternoon with all these interesting sounding fictional guns. But something struck me. These guns sound high quality. Like a lotta of craftsmanship went into them. I was wondering why there weren't quality disposable guns. If someone offered me a disposable pistol in this universe I'd say no way. But in that alternate universe you'd think they'd have a gun that worked for a few reloads, guaranteed, and only cost as much as a bottle of shampoo. Have a fire fight, then get a replacement. The donut-spare of the firearm world. Enough to finish your trip, but little else, and cheap enough to practice with and throw out at the end of the range session. Guns as disposable at magazines. When you shoot a 1911, or any pistol, check the expelled cases after they've cooled. Are they bulging near the base? Not good. Case failure while shooting is not fun. And it tells you the barrel of the 1911 may have been monkeyed with. Factory Glock Fohties are famous for this flaw a buncha years back, so check them twice. Chances are, factory stuff is gonna be fine, but double check because you are prudent. And look here. Those are only unsupported in the thick section of the case. Don't buy pistols with more case sides exposed than those if you can help it. I have a confession. I have not seen 3 minutes of Breaking Bad. Before now. I wanted to wait til the series was over, get the DVD and watch it on my own pace. 5 shows in, and it's pretty good. And it's reputation is good. NO SPOILERS. And parts of if I am finding cringeworthably HORRIBLE. "It's a Stratocaster!" But I've picked up some of the show's themes via cultural osmosis. So I recognize foreshadowing. THIS early in the series. Wow. This Gilligan guy knew where he was going with this before the first shot was made. Ok... this early on, not much gun play. There is a large Ruger revolver I recognize, and is uninteresting to me, and a semi--- I don't recognize. Ah-ha! I thought 1911 initially. BIG bore. But with more views of it I'm thinking one of those metal S&W flavors I am not as familiar with. Let's see, shall we? A Smith and Wesson 4506. Not bad T-Bolt, guessing as far as you did. .45ACP. The Smiff '1911'. That isn't a 1911. Ick. Safety on the slide to block the firing pin insead of blocking the sear. No like. When they made the barrel, the did a horrible job on the head spacing. It head spaces on the cartridge rim, so if you bore that chamber and extra eighth of an inch... Not in spec. But you find barrels like this. Old ones, especially. Often? Nothing. The extractor hold the case against the breech face and the firing pin can get to the the primer and do it's thing. The pistol appears to function fine... It's still not good, per se. Some triggers have a little set screw in em to control trigger over travel. 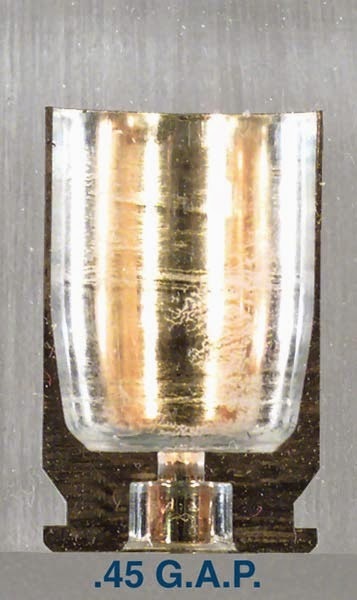 The screw gages off the mag release button assembly. Smart Armorers will take these out. Because your Shooter Guy you are supporting for the big competition will monkey with it. Eventually, the distance will be too short and the sear will graze the hammer hooks with each shot. Then, one time when your Shooter Guy is out there in front of God and everybody, his 1911 goes full auto. Then people blame other people. The Armorer will catch this one. YOU. Some really good gunsmiths can control trigger travel at the safety. I don't know how, and chances are 1 in a million you know how to either. But if you are an armorer type and working on other peoples pistols and want an excuse when called up before The Man, you might make it a habit to dump the screws. You may even block up the hole. Enjoy the rest of your time servicing pistols at the Army Marksmanship Unit while the Shooter has to do a carpet dance. Shooters aren't allowed inside the gun. Just shoot, Shooter. "If you sew like the wind, you weep the world-win!" I have no idea what that means, but for all intensive porpoises I think it means you should keep your clothes in good repair. The firing pin and firing pin channel could have the wrong geometry, or some grit might get in there. Or the spring fails. Or the Series 80 firing pin block goes Tango Uniform. The hole the pin comes out of gets peened over. You fire a round and the firing pin stays poked out a little bit. "OH NOES, T-BOLT! DOES THIS MAKE MY GUN GO FULL AUTO." Well, no. With the pin sticking out like that the back of the case can't slid up the breech face and under the extractor hook. The gun will fail to feed and your range day is done. You know, I kinda bet Boddy Jindal and Marco Rubio, with their wheelguns, are not whiz bang shottists that can give Miculek a run for his money. Of all the candidates, my guess the relatively skilled shooters are Perry and Graham. Maybe Walker and Palin and Fiorina. Who, running for President, owns a gun. And how many. Finally, asking the important questions. Perry 'yes' Hell, he owns a jogging gun. You know that means he has a BBQ gun, too. Gabby Giffords between her and her husband... she is higher than the GOP average. they didn't ask tho. Notice a lot of them have a revolver. If they have 1, it's likely to be a revolver. I was that way, myself. Who has USED a gun on this list, though? And who CCW's with their gun, even if they have a security team. Well, Trump is widely 'known' to be in that elite group of rich famous New Yorkers with a Manhattan toter's permit, like Hannity and DeNiro. And Perry is reported to have potted a coyote with a .380. I bet with 12, Graham has gone hunting and gotten something at least once. Good chance Cruz has too, and there are pics of him in orange. Walker sez he hunts birds and deer and there are pics. But a lot of GOP contenders are metrocons. Conservative that grew up in and around cities. Just like a National Review writer. Good tips. For once. Usually these lists are horribad, lately. I like #4. Zombies might not be your biggest threat. #5 dovetails into my warning about shotguns for Zombie stomping. I bet Parris Island is easier if you can ice-skate the PT runs. You know, maybe he won't be too bad as president. He'll certainly bring back to Maryland a lotta largesse, and that helps me. How bad could he be compared to a President Cruz, Walker, or Perry, really? I bet he'd even pick pro 2A judges to appoint.